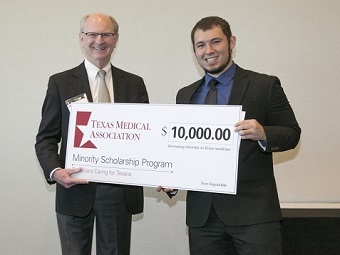 Congratulations to our students who have already been accepted to Medical school! Congratulations to all the winners at the 2019 College of Health Professions Research Symposium! The Department of Health and Biomedical Sciences is now mandating a diagnostic professional examination for all students in Missions 3, 6, and 10. Examinations will be held in Edinburg and Brownsville. Students taking the Pre-Professional Diagnostic exam in Edinburg April 6th will be required to bring computers that are fully charged. Please plan on coming to classes twenty minutes early to have a 9 am exam start! The exam will be held in Edinburg on April 6th, starting at 9 am and will end at approximately 1 pm (the exam is a 4 hour block). The following rooms will be available for your examination. Reminder: this examination is MANDATORY, failure to complete will result in an automatic failure of the course, regardless of students’ grade. If you still need to take clinical microbiology which is a prerequisite for nursing, CLS, and other health majors, the College of Health Professions is now offering Clinical Microbiology in Healthcare fully online for Summer I 2019. Please register for both Lecture CLSC 2429-01 and Lab CLSC 2429A. Registration will open March 4, 2019. Due to the overwhelming requests from BMED students to register for Independent Research (IR) courses in specific faculty labs, the Health and Biomedical Sciences (HABS) office would like to clarify the process to request opening/registering in a new section. Arrange for a faculty member to send a request to the HABS chair with the IR (course name and number), cap size and employee ID. Once HABS office creates it, the student will be informed via email with instructions so the student can self-register. *Note: Students cannot be registered in two IR courses at the same time/semester. The University of Texas Rio Grande Valley has been selected as one of the Best Online Master's in Health Science programs for 2018! Congratulations to the Department of Health and Biomedical Sciences! Their Master of Science in Health Sciences programs has been ranked #7 in the U.S. Welcome to the Department of Health & Biomedical Sciences! We offer several programs that provide an excellent education in the health and biomedical sciences, which are suited for careers in health and biomedical science professions, research and education. Intellectual development of the student is enhanced using innovative tools such as technology assisted hybrid courses, team based and case study based interactive classes and hands on research, clinical lab and clinical site experiences. 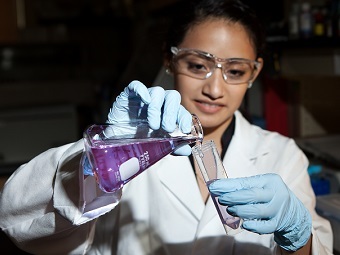 We believe in an integrated approach to education and research and the faculty and staff are committed to helping students succeed through mentoring and providing opportunities for research in their laboratories. Faculty research includes investigations in neuroscience (neurobiology of addiction, learning and memory, protein trafficking), bioengineering, cancer biology, phylogenetics, medicinal plants, bone health and nutrition, chronic (obesity and diabetes) and infectious diseases and medical education. 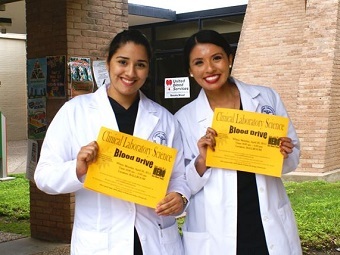 We are committed to serving Rio Grande Valley through education, research and service.